It’s difficult to set a nice table when you don’t know how many people are coming to dinner. Likewise, it’s hard to prepare for a new school year when you don’t know how many students will sit in your classroom. Late kindergarten registration is a problem for many school districts across the country. It’s a problem for teachers and administrators, who are trying to plan ahead for staffing, materials and the costs associated with them. It’s an even bigger issue for the children themselves, said Erik Korporaal, lead for the innovation department at Vista Unified School District (VUSD) in San Diego, California. “They’re missing some of the critical early days of class when teachers lay out expectations for the classroom and friendships are forged,” Korporaal said. Children spend the next weeks or months catching up socially and academically with their classmates. The 2017-18 registration season saw a focused effort by the school district and the local cradle-to-career partnership, Partnership for Children, to improve kindergarten registration by looking at the process, what is causing families to register late and what can be done to change it. 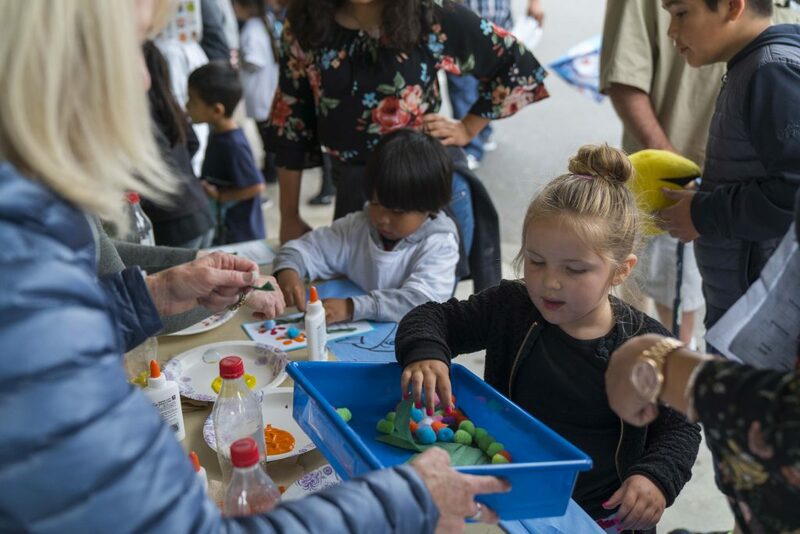 Steve Davis, a teacher on special assignment with the Vista school district, said 112 kindergarteners joined classrooms in Vista’s 14 kindergarten programs after classes had started this year. 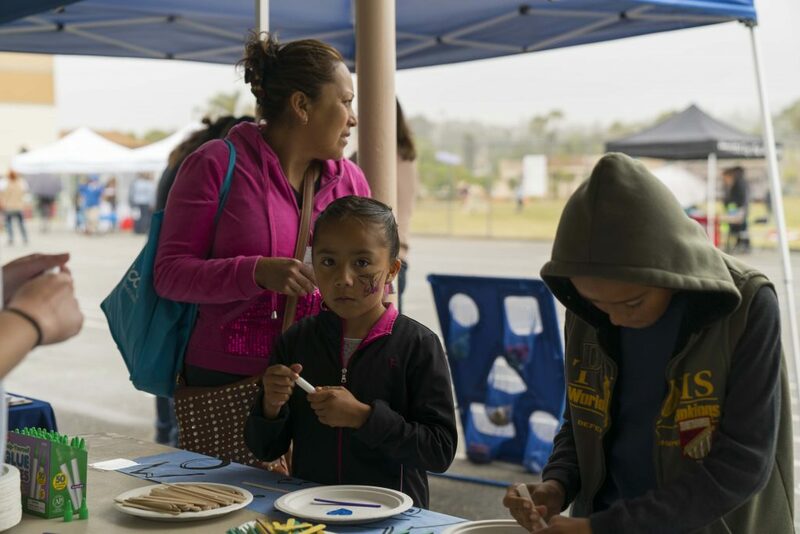 Partnership for Children, which brings together leaders from several sectors of the community to improve outcomes for young people in urban San Diego, began several years ago when the VUSD superintendent approached United Way to support the effort. Joined by community partners such as clinics, churches and daycare centers, the resulting partnership began convening in fall 2015, and in spring 2017 turned its attention to kindergarten registration. The partnership, which is a member of the StriveTogether Cradle to Career Network, started at the beginning, by looking at the process by which kindergarten students register for school. Registration is done in two steps, the first of which requires use of a computer. Some parents either don’t have access to a computer or are not comfortable using one. Upon completing Phase 1 of the two-step process, parents receive an email stating “pre-registration is complete,” leaving some to believe that the process is done. Parents have trouble assembling the papers and vaccination records needed to complete registration. 63 percent of Vista students are Hispanic, with many coming from Spanish-speaking homes. Language barriers make the registration process difficult for non-English speaking families. Preschools within the community don’t communicate with the kindergartens, which was seen by the project as a missed opportunity to better prepare the district, teachers and parents. “The process can be a little bit overwhelming for some parents,” Davis said. In a district in which 62.1 percent of children qualify for free or reduced lunch and 19.8 percent are English language learners, computer access and language barriers are two very real issues, Davis said. Research by the partnership revealed that 67 percent of students who were late to register for the 2017-18 school year were from low-income families, homeless or in foster care. The partnership also found that many of those 112 kindergarteners came from the same areas of the district. “We tracked which parents were late, mapped them and found an area of the city that needed extra attention and resources, such as computer access and bilingual assistance,” Korporaal said. He said that information is a vital part of the partnership’s plan to cut down on late registrations. The partnership’s pilot project revealed, through simple observation as well as data analysis, that Phase 2 of the registration process was a hurdle for many families. Events held within the community provided hands-on assistance with Phase 1, resulting in 90 percent of families completing this first step. But only 60 percent of those families went on to complete Phase 2. The gap between pre-enrollment and completion of registration varied widely between schools within the district, from a 90 percent conversion rate in one school to a 35 percent conversion in another. “We were able to track data on completers of each phase and see how those varied across school sites,” said Lieberman, director of strategy and evaluation at United Way. By comparing results across the Vista district, the partnership targeted struggling schools and incorporated best practices from schools where registration was happening more readily. Lieberman said Tableau data visualization software helped the partners to make sense of the information and put it to work. Tableau Foundation supports StriveTogether’s work with local cradle-to-career partnerships in communities across the U.S. through its fellowship program, in which Lieberman participated. The knowledge she gained through the fellowship has played a vital role in the partnership’s work, Lieberman said. And feedback from other fellows and Tableau coaches helped Lieberman improve the visuals used in the partnership’s efforts. 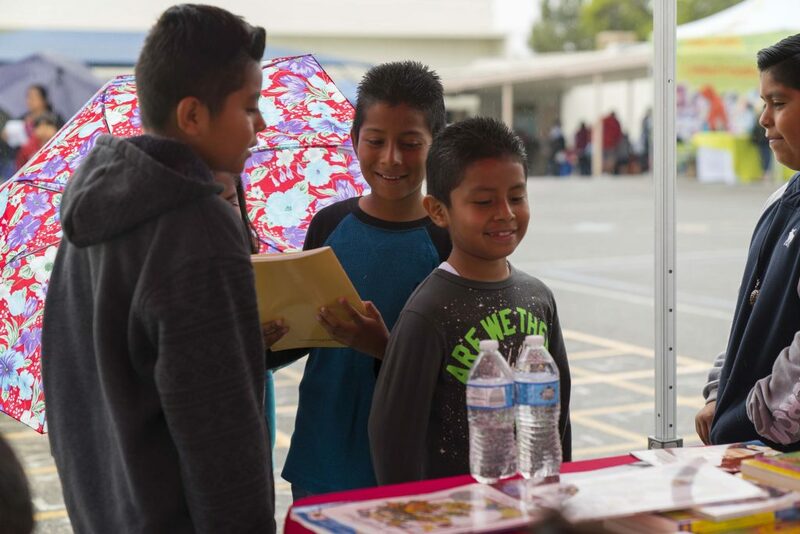 After a full examination of the registration process led to being armed with the knowledge of where help was needed most, Partnership for Children organized and held three “Get Out the Reg” community events at Vista schools to facilitate registration prior to the start of the 2017-18 school year. “The supports provided were customized to what each family needed,” Lieberman said. For some, that meant help using a computer. Others required help with paperwork or child care. The success of those events was limited, Lieberman said, partially because they weren’t widely advertised. “The plan is to get dates out much earlier this year,” she said, and to work with all partners within the partnership to spread the word. Informational fliers and posters will be distributed throughout the community, including at churches, preschools, grocery stores, laundromats and other locations. Community liaisons working with the partnership also will tell families about the events. Improvements also will be made to more accurately record registrations that result from partnership events. Last year’s registrations weren’t always entered as they came in, making it difficult to track the impact of the events. “We don’t have a lot of solid numbers to work with, but last year’s campaign helped us identify a lot of sticking points and we’re now tackling each of those individually,” Anzellotti said. The partnership will use data collected during the 2017-18 registration process to focus its efforts on improving registration for 2018-19. Lieberman agreed that mapping out the neighborhoods having trouble with registration is key to the partnership’s ongoing efforts. “We have talked about placing events in the community rather than at schools so that they feel more accessible for families who are new to the district and may not be comfortable or familiar with where those schools are,” Lieberman said. A map of late-registering households was overlaid with a map of partner locations, which will serve as convenient registration spots for this year’s registration season. “We used data from the previous year to inform our placement of the registration events planned for this year. This is an example of how we are trying to be data-driven in our registration strategies,” Lieberman said. “This information will allow us to target our efforts a little better than we have done so far,” Davis agreed. Research also revealed that some parents, having completed the online portion of the registration process, were unaware that there was a second step to be taken. It’s one of several sticking points identified in the campaign’s first year that will be addressed in the registration year that has just begun. Families will receive a customized email at the end of Phase 1, telling them exactly what they need to do to complete registration. Included in the email will be information about where families can find help in completing registration. A bilingual family liaison will be available from each school to assist families. These liaisons often have children in the Vista schools and are hired, trained and managed by VUSD. Registration events will be held in community-based locations such as clinics, preschools, churches and housing complexes. The events will be staffed by school personnel as well as a representative from a local clinic, who can help with immunization records and appointments to receive necessary immunizations. Community partners will participate in registration events to connect families with further resources, such as food and child care. Work will continue toward streamlining the registration process. A system will be put in place allowing preschool teachers within the district to share student assessment information with kindergarten teachers, allowing for a better transition for the student. Three “jumpstart” programs will be held at targeted schools to introduce incoming kindergarteners to the classroom. These three-week sessions will help to prepare students academically and socially for the school year. All involved agree that efforts to improve kindergarten registration are just beginning, but that what was learned in that first year will prove valuable as the new year begins. Besides pinpointing the obstacles facing families and the areas where those families live, Anzellotti said the biggest result to come from the project’s first year is the relationship that has emerged between the district and its partners. Partners better understand the obstacles in the kindergarten registration process and what geographic areas need more support to reduce late registrations. In 2015-16, 19.8 percent of VUSD students were English language learners . Support for families of ELL students will include access to a bilingual family liaison and customized email communication. Communication between preschools and elementary schools has improved, with the district’s 11 preschools, as well as several partner schools within the community, providing assessment information about incoming students to kindergarten teachers. Registration events will be held in community-based locations where a majority of the district’s 112 late registrations were recorded in 2017-18. 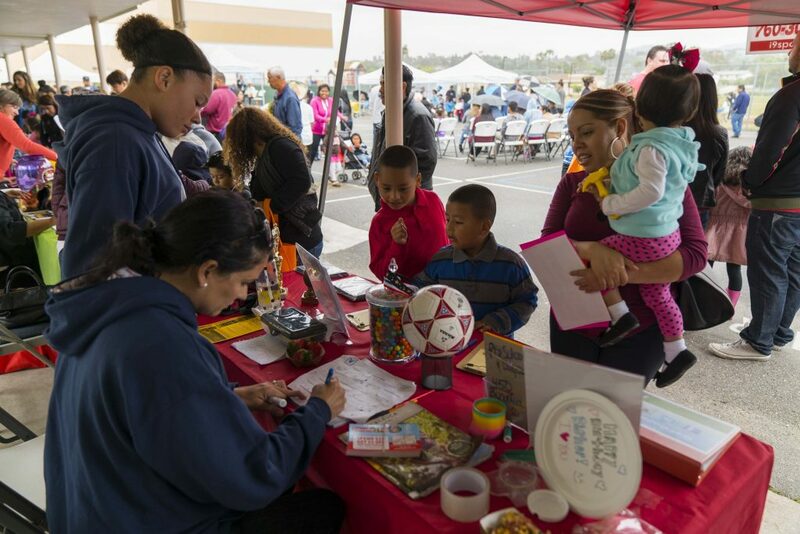 Events at clinics, preschools, churches and housing complexes will connect families with community resources like food, health care and child care, as well as help with registration. Data collection helped the partnership focus resources on neighborhoods that needed support. The partnership plans to continue improving data collection to measure the effects of the “Get Out the Reg” efforts, including recording incoming registrations in real time. Starting school on time is critical. Children who miss the first days of school are at a disadvantage both academically and socially. Determining the cause of a problem is the first step to a solution. Challenges to kindergarten registration included a cumbersome two-step registration process, lack of access to a computer and language barriers. Identifying these specific obstacles allowed the partnership to focus its efforts most effectively. Tracking data helps determine where to focus resources. Failure to complete registration was an issue in every Vista elementary school, but some neighborhoods showed larger gaps than others. By tracking families who registered late, the partnership was able to target struggling schools and incorporate best practices from schools where registration was happening more readily. Read our stories about how local partnerships are driving change and moving outcomes for every child, cradle to career.